The rich are getting richer. As the world recovers from the global economic crisis, the global wealth staged a remarkable comeback in 2009, increasing by 11.5 per cent to $111.5 trillion, just short of the year-end peak set in 2007. Less than 1 per cent of all households were millionaires, but they owned about 38 per cent of the world's wealth, up from about 36 per cent in 2008, according to a new study by The Boston Consulting Group (BCG). Households with more than $5 million in wealth represented 0.1 per cent of households but owned about 21 percent, or $23 trillion, of the world's wealth, up from 19 percent in 2008. The number of millionaire households rose by about 14 percent in 2009, to 11.2 million -about where it stood at the end of 2007. The United States had by far the most millionaire households (4.7 million) followed by Japan, China, the United Kingdom, and Germany. However, the rebound in wealth should not be seen as a return to business as usual - client trust and wealth manager performance are still lower than they were before the global economic crisis, the study point out. BCG projects the global wealth to grow at an average annual rate of nearly 6 per cent from year-end 2009 through 2014 - much slower than the sharp recovery in 2009 but still higher than the 4.8 per cent annual growth rate from year-end 2004 through 2009. "There's no doubt that wealth will continue to grow faster in emerging markets, fueled by strong economic growth," said Tjun Tang, a BCG partner and a coauthor of the report. "We expect Asia-Pacific, excluding Japan, to grow at nearly twice the global rate, raising its share of global wealth from 15 per cent in 2009 to almost 20 per cent in 2014." The recovery in wealth - which virtually offset the 10 per cent plunge in global AuM in 2008 - was driven by resurgent financial markets and increased savings. In North America, higher market values accounted for 90 per cent of the growth. By contrast, market values and savings made nearly equal contributions to AuM growth in Europe and Asia-Pacific (ex Japan). Singapore saw the highest growth in millionaire households, up 35 percent, followed by 33 per cent for Malaysia, 32 per cent for Slovakia, and 31 per cent for China. Smaller markets had the highest concentrations of millionaire households. In Singapore and Hong Kong, millionaire households accounted for 11.4 per cent and 8.8 per cent, respectively, of all households. 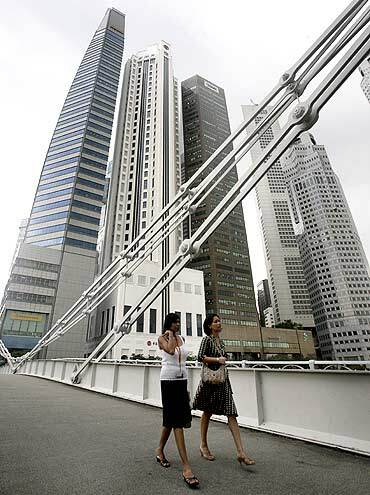 Image: Office workers cross a bridge in Singapore's financial district. Switzerland had the highest concentration of millionaire households in Europe and the third-highest overall at 8.4 percent. Three of the six densest millionaire populations were in the Middle East - in Kuwait, Qatar, and the United Arab Emirates. Despite its large population, the United States had the seventh-highest density of millionaire households at 4.1 percent. 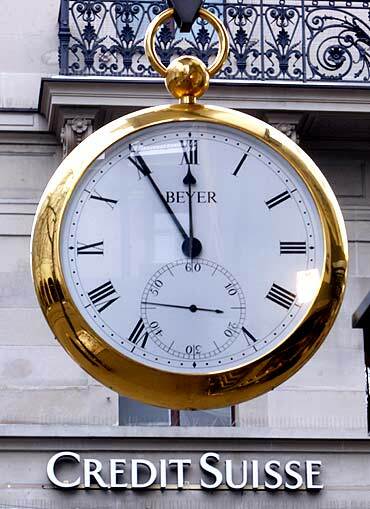 Image: A giant watch displays the time in front of the logo of Swiss Credit Suisse bank. North America posted the largest absolute gain in wealth at $4.6 trillion (15 per cent), but the largest percentage gain -and the second largest in absolute terms - occurred in Asia-Pacific (excluding Japan), where wealth increased by 22 per cent, or $3.1 trillion. That was nearly double the global rate. Latin America had the second-highest growth rate at 16 per cent. 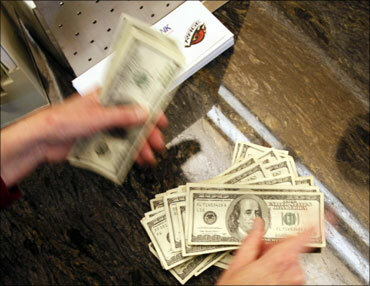 Image: US dollars being counted out by a bank teller. Europe remained the wealthiest region. 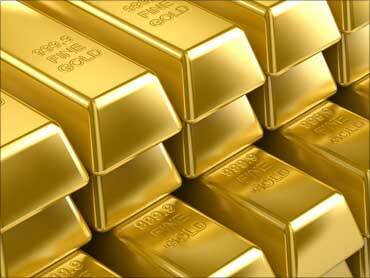 Its $37.1 trillion in assets uner management (AuM) represented one-third of the world's wealth. It was one of several regions where wealth surpassed its precrisis year-end peak. North America and Japan were the only regions where wealth remained below the year-end 2007 levels. 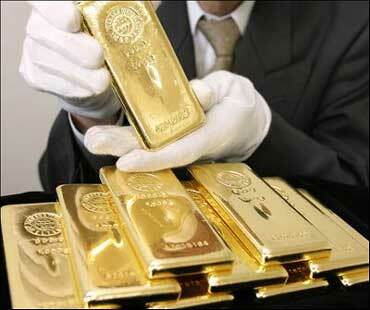 North America accounted for about 40 per cent of the $11.5 trillion increase in global wealth in 2009. 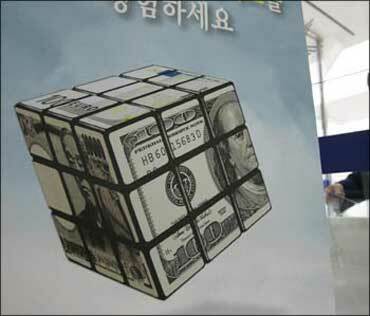 Its wealth increased to $35.1 trillion. 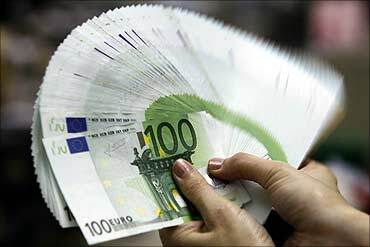 Image: An employee counts Euro notes. Offshore wealth (defined as assets booked in a country where the investor has no legal residence or tax domicile) grew to $7.4 trillion in 2009, up from $6.8 trillion in 2008, largely driven by the market recovery. Not surprisingly, Switzerland remained the largest offshore center, with about 27 percent ($2.0 trillion) of global offshore wealth, according to the study. But despite the recovery, banks in traditional offshore centers face considerable regulatory and competitive pressures. BCG projects the share of global wealth held offshore to fall from close to 7 per cent in 2009 to just over 6 per cent in 2014. Will India be the world's fastest growing economy?